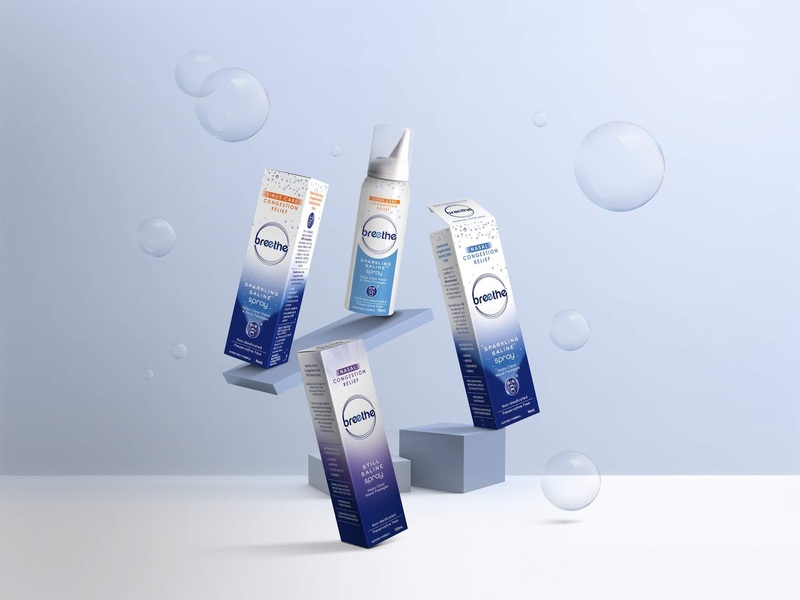 100% preservative free, Breethe’s difference is in its delivery of fine-mist saline that reaches deep into your nasal passages to clear and decongest your nose. With the goal of capturing consumer attention and eliminating decision fatigue, Our Revolution were tasked with developing Breethe’s brand identity and packaging design. Our Revolution creative director Jen Doran said the current category landscape for a product like Breethe is functional and pragmatic. 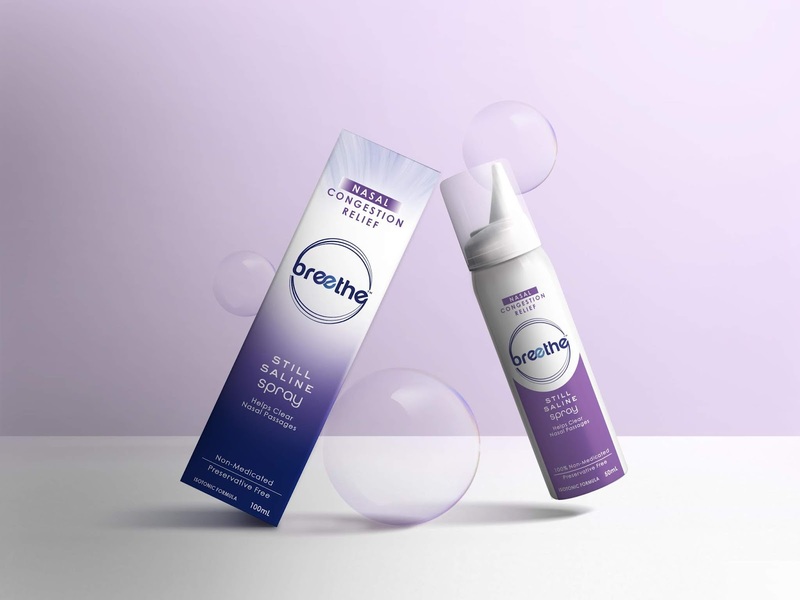 “We wanted to develop a brand identity and packaging design that illustrates the literal relief you experience when using Breethe”, she said. Breethe’s new range includes both sparkling and still saline.